In a Rosedale Garden is now out in e-book format on Kindle. Visit Amazon.com to purchase a copy. Print versions are also available on Amazon.com. Six local authors join the original writer to re-tell a story written more than twenty years ago. 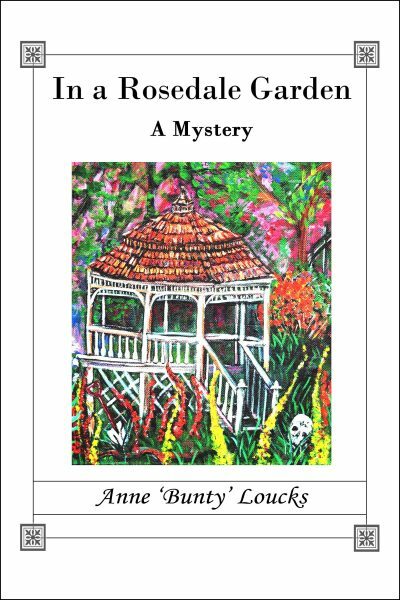 Read In a Rosedale Garden and experience a mystery that transports you to the post-war era of the 40’s and 50’s when a family tragedy buries secrets for future generations to find. Then read Through a Glass, Darkly, where the same story takes on twists and turns from the six authors. This collaboration illustrates the difference between material written in a gentler time and that of the 21st century. In a Rosedale Garden is available in print format through Amazon.com and Barnes and Noble. Kindle e-book format is also available.